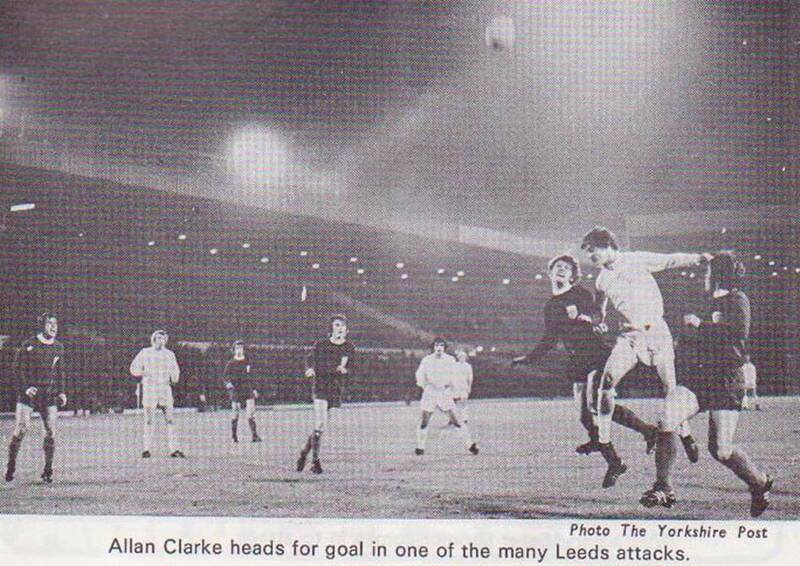 Date: Wednesday, 8th November 1972. Competition: European Cup-Winners’ Cup, Second Round, Second Leg. 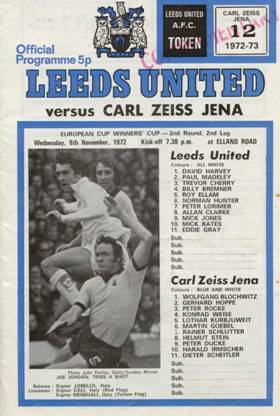 Score: Leeds United 2 Carl Zeiss Jena 0. 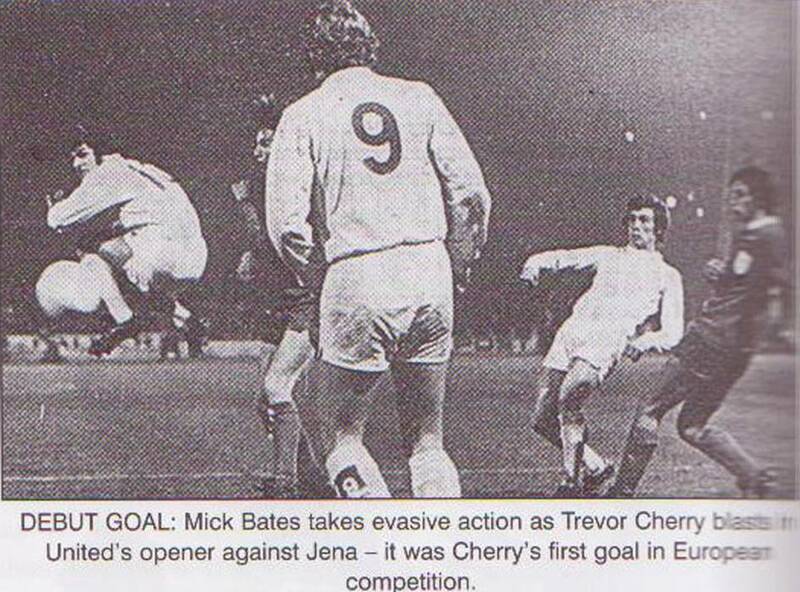 Scorers: Leeds United: Cherry, Jones. 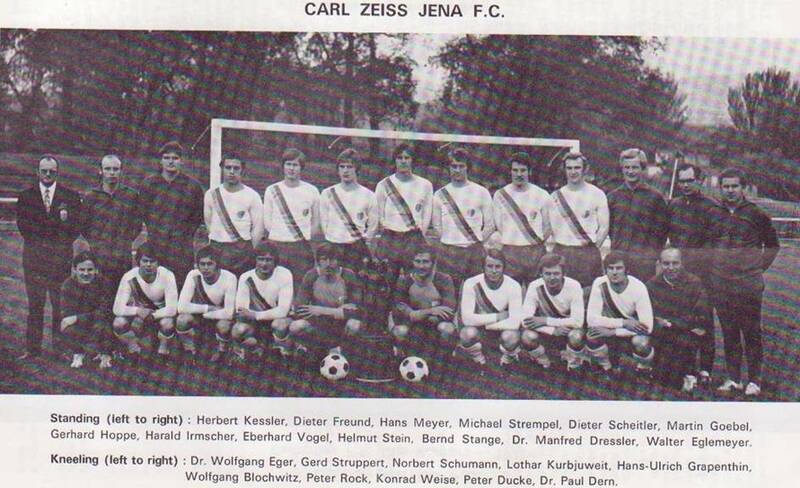 Carl Zeiss Jena: Nil. 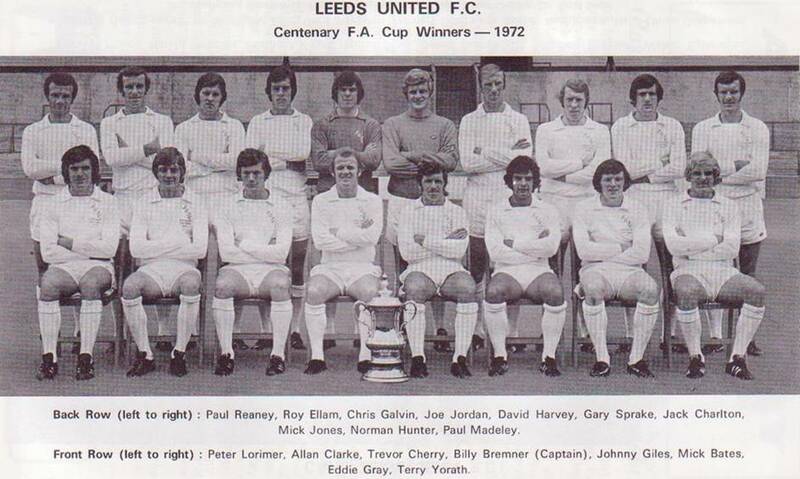 Leeds United: Harvey; Reaney, Cherry; Bremner, Charlton, Hunter; Lorimer, Clarke, Jones, Bates (Giles), Yorath. 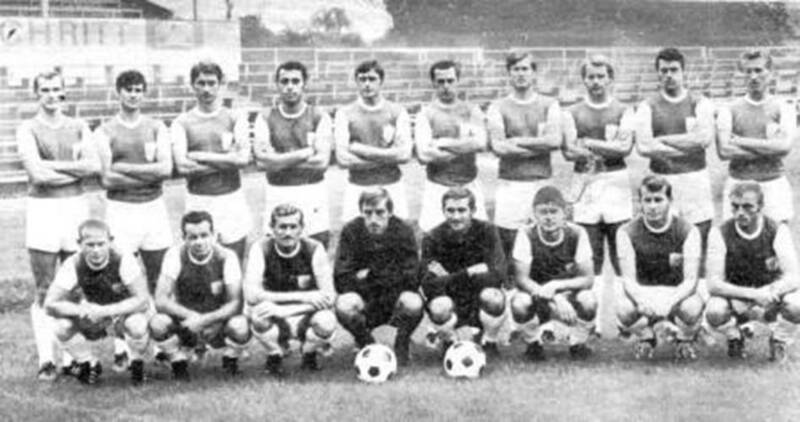 Carl Zeiss Jena: Blochwitz; Hoppe, Rock; Weise, Kurbjuweit, Strempel; Schlutter, Goebel, P. Ducke (Scheitler), Irmscher, Vogel. 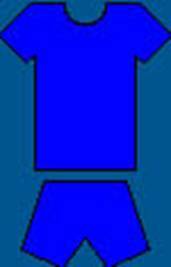 Referee: Concetto Lo Bello (Italy). In the return leg United dominated but time and time again they were denied. However, in the end they were good value for their 2-0 home victory and were never really overstretched. It was not until well into the second half before they were finally able to unlock the Jena defence for Trevor Cherry’s first European goal to set patient United on their way to a 2-0 home victory over Carl Zeiss Jena. 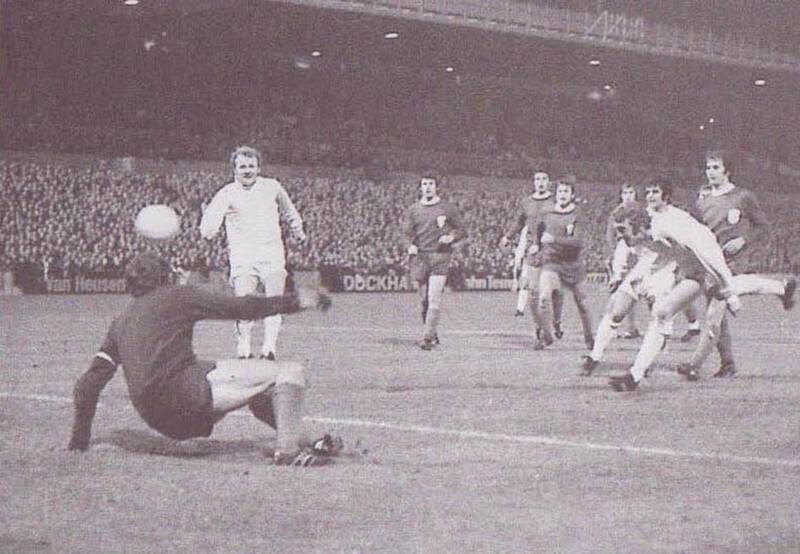 The man-marking East Germans had stuck doggedly to their task until the fifty-fifth minute when Peter Lorimer chipped the ball into the middle from a corner which was only half cleared to Cherry, whose left foot despatched the ball into the left hand corner of the net. 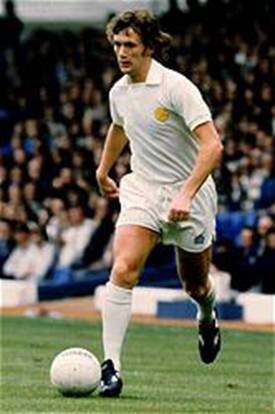 Peter Lorimer, the provider of the first goal, was the only Leeds player who looked capable of breaking through the Jena rearguard. He gave his marker Lothar Kurbjuweit a real runaround with his power-packed shooting a potent weapon. 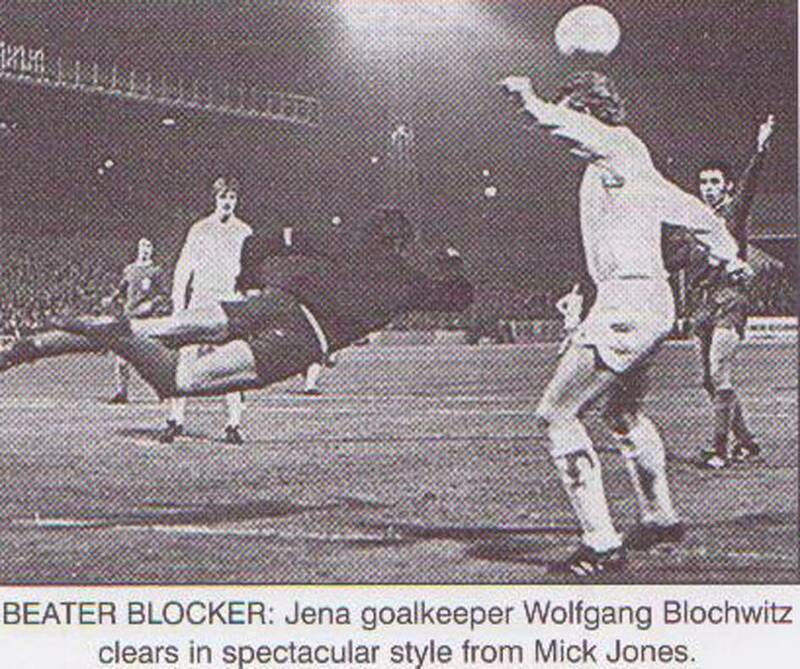 Goalkeeper Wolfgang Blochwitz had made a stunning save to deny the Scot on the stroke of half-time but Lorimer got his revenge after sixty-four minutes with another key role in United’s second goal. 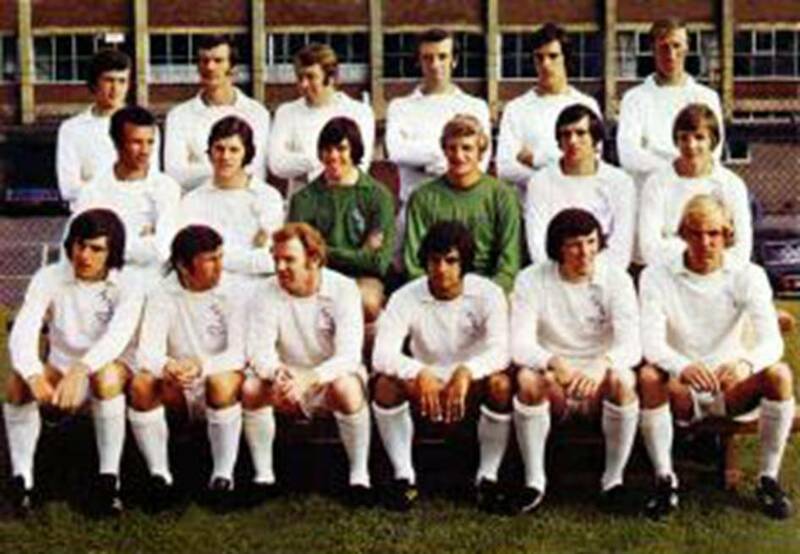 Billy Bremner was fouled by Rainer Schlutter outside the box and Mick Jones raced in to head the ball home after goalkeeper Wolfgang Blochwitz had failed to hold the ensuing Peter Lorimer thunderbolt to wrap up the tie. 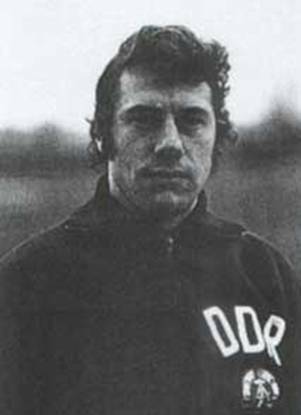 Wolfgang Blochwitz said of Peter Lorimer, “He’s the most dangerous marksman I have ever played against.” That observation was backed up by a delighted Don Revie, who purred, “When Peter is on song there isn’t a goalkeeper in the world who can stop him.” The Scot’s explosive shooting and tricky dribbling blew the German’s game-plan wide apart but even after they had gone behind the visitors still only kept one man, Peter Ducke, in attack, preferring to pack their midfield. 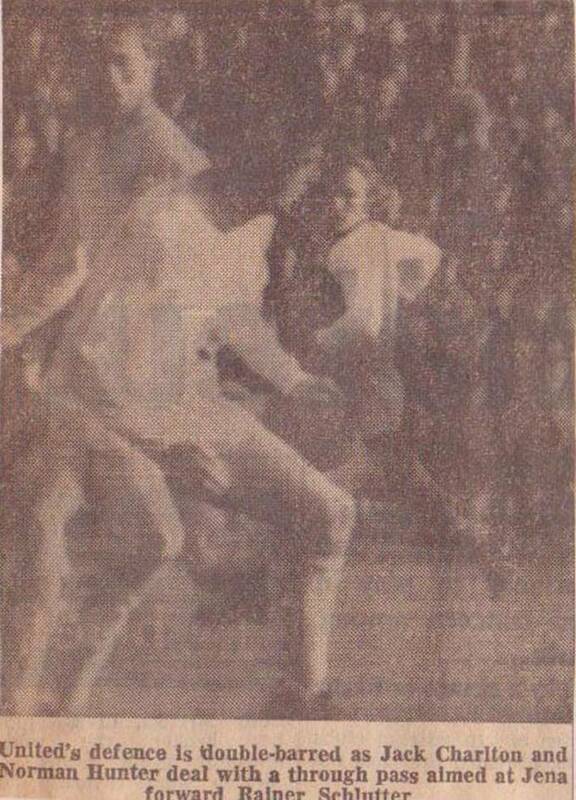 With Paul Reaney keeping a close eye on Eberhard Vogel there was virtually no supply to the isolated Ducke and David Harvey was virtually a spectator throughout the game. 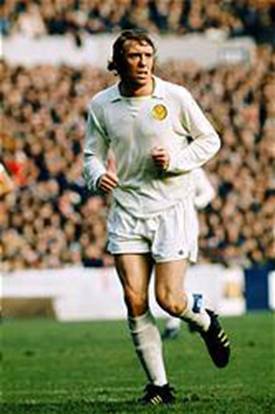 To add to a good night’s work for United Johnny Giles, who did not make the starting line-up because of a knee injury, came on for the last ten minutesto give United more options and they went into their four-month European break on a high. Scheitler, Preusse (GDR-int. ), Vogel (GDR-int. ), B. Krauss.